It's true: We've seen some pretty ridiculously nauseating climbs in our time here in travel land. 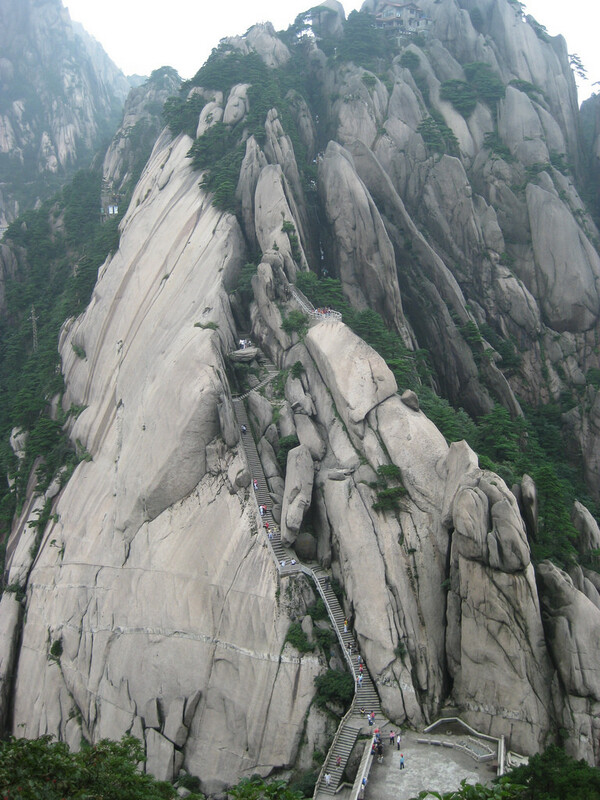 But we stopped dead in our tracks when we saw the amazing steps at Huangshan (Yellow Mountain) in China. The steps, of which there are roughly 60,000, are made of granite, and then swerve and dip and climb all over the mountain. For the record, you can opt to take a cable car to the top. Yes, those little dots are people climbing the Western Steps, which take about 5 to 6 hours to complete.